The Bitcoin price increased on 21st March 2018 when G-20 expressed no interest in calling for cryptocurrency markets’ coordinated clampdown. The world’s largest cryptocurrency, Bitcoin climbed by 5.5 percent to USD 8,889 post hovering in between 8,400 to 8,600 in last 24 hours. With time, Bitcoin is trying to come back after a price drop of less than $8,000 for one month on Monday. Though, the G-20 explained the increasing risk of digital currencies, the traders feel relaxed as ministers didn’t call for crypto regulations as per John Spallanzani (Portfolio manager, Miler Value Partners). Investors were concerned about the coordinated clampdown that increased post minister said that they will discuss an approach to digital currencies in Buenos Aires’ meeting on 19th and 20th March 2018. 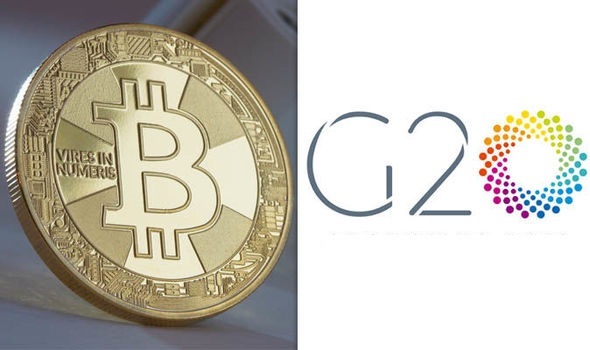 The G-20 said on 20th March 2018 that they are ready to monitor the cryptocurrency movement while leaving the regulation of this booming industry for future. “We called international SSBs (Standard-setting bodies) in order to continue the crypto-assets monitoring and risks as per the mandates and evaluate multifaceted responses when required,” said G-20 leaders. This popular cryptocurrency is on rise as “G-20 has no interest in cryptocurrency oversight or you can say it is throwing cold water on them,” said Spallanzani. However, Bitcoin price is still low by over 50 percent as compared to its high of $20,000 in the month of December last year. The remaining cryptocoin market crashes on worry tightening regulation worldwide will reduce adoption and trading. The G-20 community said cryptocurrencies are assets that ‘lack key characteristics of autonomous currencies’ and at some moment they might have stability implication.’ The communique set a deadline to July for digital currency steps without getting specific on what cryptocurrencies mean.